A bear hug, a photo filter and a new debate on net neutrality - Ayeshea Perera examines the domestic fallout of Indian Prime Minister Narendra Modi's Facebook townhall in US. This was published by BBC News on October 16, 2015. Sunil Abraham was quoted. It was supposed to be a moment that rocked the virtual world. 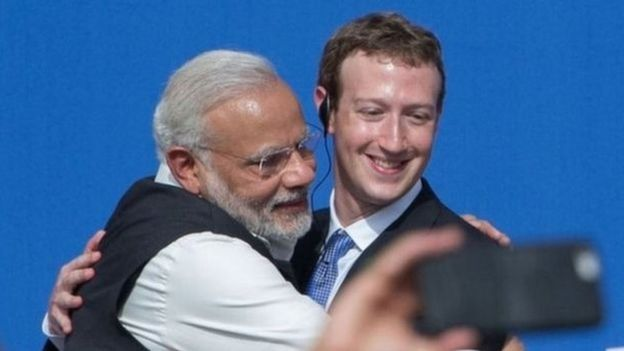 Mr Modi, widely acknowledged as one of the world's most influential politicians on social media, enveloped a slightly stunned Mark Zuckerberg in a bear hug. But what was it that really happened in Menlo Park? 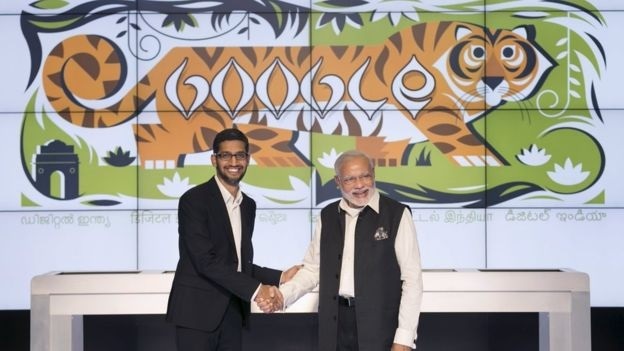 Why did some people think Mr Modi wasn't acting in India's best digital interests when he hugged Mr Zuckerberg? India with an internet population of 354 million - which has already grown by 17% in the first six months of 2015 - is an obvious target for not only Facebook, but other Silicon Valley giants. And they have all been more than happy to pledge their support for digital India - a recently launched government initiative aimed at reinvigorating an $18bn (£11.6bn) campaign to strengthen India's digital infrastructure. Google offered to provide 500 railway stations with free WiFi and Microsoft pledged to connect 500,000 Indian villages with cheap broadband access. A massive campaign by India's Save the Internet Coalition exhorting Indians to speak out against initiatives threatening net neutrality caught public imagination and saw more than a million emails to India's regulator, the Telecom Regulatory Authority of India (TRAI), demanding a free and fair internet in the country. Internet.Org was one of the initiatives immediately affected. 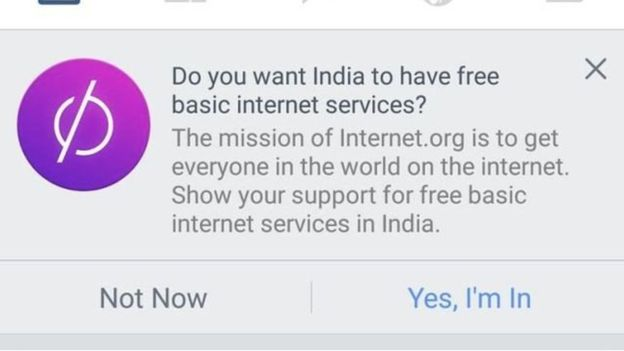 TRAI since released a draft policy on net neutrality, but a question that has been asked is whether it was appropriate for Mr Modi to visit Facebook given that the policy was still under consideration. Mr Purkayasta is of the opinion that it could have been avoided. "It was not the time or the place to go. Even if it was simply a publicity gimmick, it still sends a signal to officials involved in drafting the policy," he said. However, Sunil Abraham from the Centre for Internet and Society told the BBC he believed that while Facebook's intentions were suspect, Mr Modi's visit had the potential to safeguard net neutrality in India. "India is a hugely important market for Facebook, and the prime minister has the power to force positive changes to its policies," he said. "We gain nothing by shutting them out."